Sometimes it’s just luck of the draw when it comes to kids. You wanted him to be a doctor or a lawyer, or some other kind of highly sought after profession, but when you ask him what he wants to be when he grows up… his answer is "Master of the Dark Side". When you’re a parent, you just got to roll with it. Maybe you give him a few lightsaber lessons and teach him how harness his passion to tap into the Dark Side of the Force. Perhaps you could put him in charge of a whole army of Stormtroopers. You could even start teaching him how to intimidate would-be Jedi Knights like Rey. You could even go out on a journey to find Darth Vader’s lost lightsaber to reclaim the title of the most deadly villain in the galaxy. 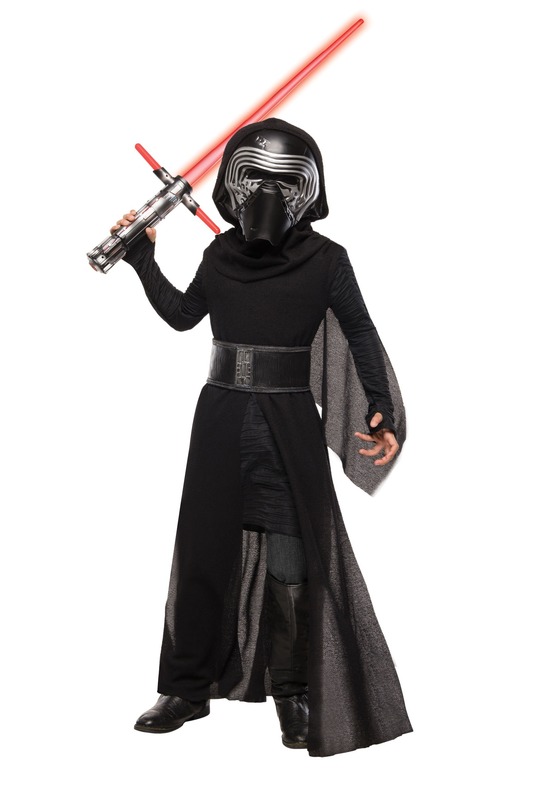 Or, maybe you could just let him parade around the neighborhood wearing this Kylo Ren costume! This Deluxe Kylo Ren costume is a great look based on the villain from Star Wars: The Force Awakens. It comes with a black robe and belt, along with the signature mask. It quickly turns your child from ordinary kid, into a menace to be reckoned with in the galaxy far, far away. Of course, you’d better put him to work quickly if you wish stand a chance against the Resistance! Word on the galaxy is that they’re already trying to find Luke Skywalker, so you better send him off to track him down before they can find him.